Enter the exciting world of the Dubai Polo & Equestrian Club, where prestigious sporting disciplines meet a sparkling social calendar. Bask in the beauty of nature or simply absorb the relaxed atmosphere over a refreshing beverage, which boasts many years of rich equestrian heritage. You will enjoy majestic surroundings in the heart of the UAE, the Dubai Polo & Equestrian Club. Set in the heart of the prestigious Emirates Hills, our 18-hole championship golf course, designed by Colin Montgomerie, and 5-star, award winning accommodation are regarded as the premier leisure destination in the Middle East. Leisure seekers and connoisseurs of the finer things in life will find a range of services and facilities to meet their individual desires. Indulgent, lush green surroundings, set against a backdrop of uptown Dubai and Dubai Marina, await you. At Address Montgomerie, we deliver an oasis of relaxation and an experience like no other. 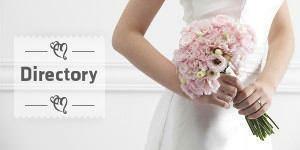 We provide full wedding planning services, wedding styling services, wedding coordination services, and much more. Whatever your dream is, we will bring your vision to life! Signature Designs provides supreme wedding events in UAE, Saudi Arabia, Kuwait and Qatar. We create unique and luxury blueprints for your wedding event and assist you in all stages of your wedding planning. Celebrate the ultimate expression of romantic intent in Dubai’s most desirable location, with a bespoke wedding reception at Armani Hotel Dubai. Magnum is the perfect venue for any private event, whether it be a birthday celebration, office party or hen do! We offer a broad range of services guaranteed to meet your needs. A choice of themes, lighting, DJs and entertainment are on offer as well as a choice of beverage and food packages. Planning a wedding in Dubai or anywhere in the UAE for that matter? Why not let us take on all the planning and co-ordination and let you enjoy every moment of your special day stress-free!